Success! Please check your email to confirm your subscription. Welcome to the fun! 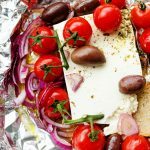 This Greek Baked Feta takes everything delicious about Greek salad and throws it in the oven for a few minutes! 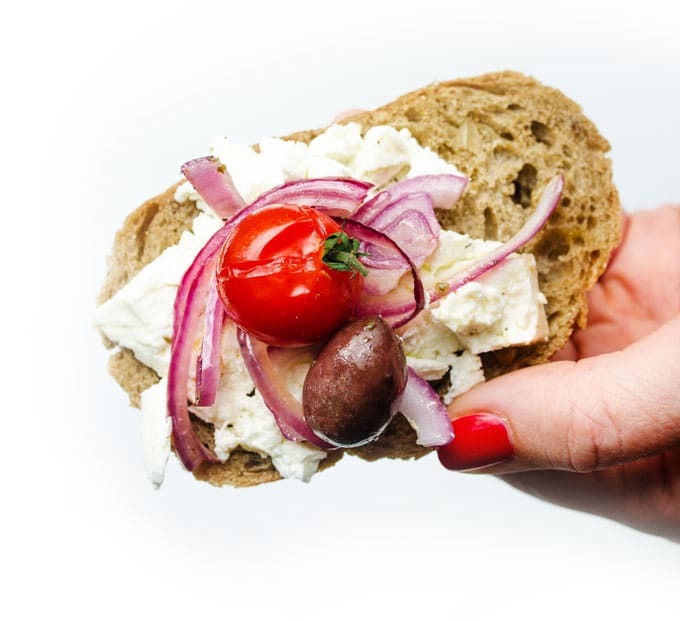 Warm and spreadable feta with bursted tomatoes, olives, and red onion. One of the concepts I’ve learned in this master’s degree program all about eating is that of repeated exposure: repeatedly eating a food you don’t like until your body realizes “hey, this probably won’t kill me”, and you begin to like it. For me, that’s tomatoes. And after cooking all of the recipes I’ll be sharing over the next two weeks of this tomato spotlight, my body is slowly transitioning from “hard no” to “ehhh maybe”. Today’s recipe is a simple one. 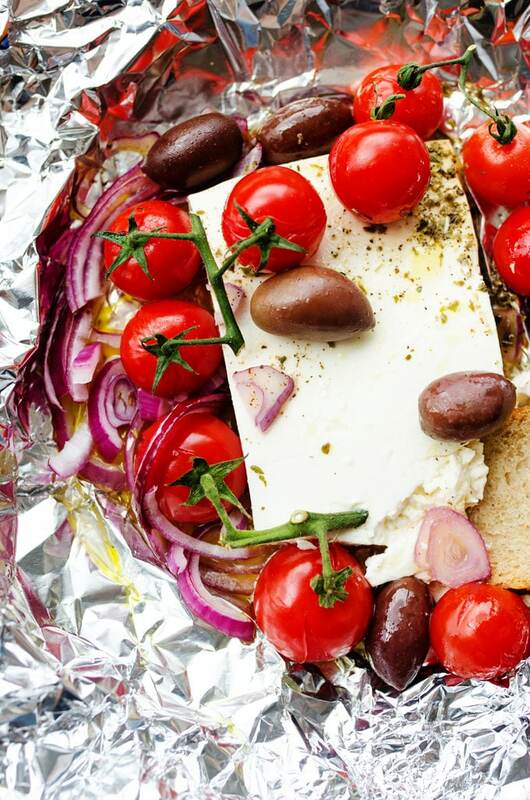 You throw all the makings of a Greek salad into aluminum foil, wrap it up, and bake for a few minutes. The tomatoes burst, onions soften, and feta becomes creamy and spreadable. Throw it in the oven as a last minute appetizer or on the grill for a hassle-free BBQ side! Preheat oven to 400 degrees F (204 C). 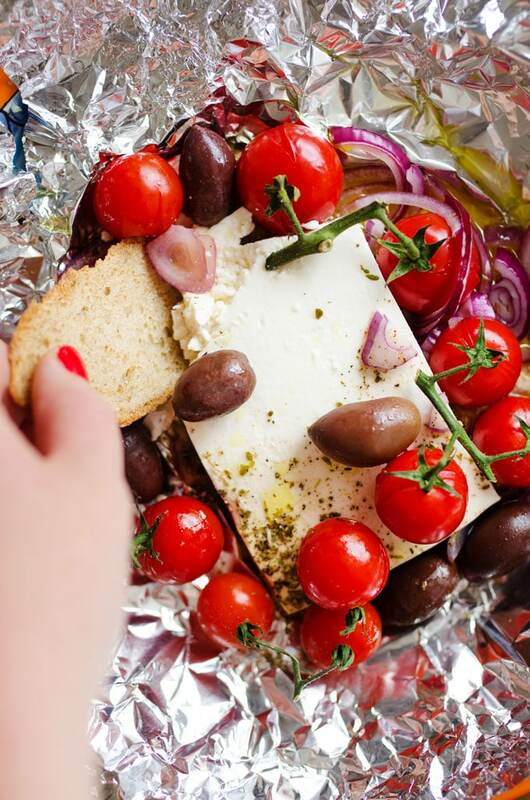 Set feta in the center of a large sheet of aluminum foil. Drizzle with oil and toss in the olives, tomatoes, onion, and spices. Pull up the sides of the foil and crimp them together to seal the ingredients into a pouch. Bake for 8 to 10 minutes, or until feta has softened and tomatoes have burst. Serve warm with pita chips or sliced bread. You can also try cooking it by throwing the foil packet on the grill for the same amount of time! I created this recipe with Anouk, who runs a Dutch food blog! 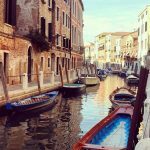 Go check her out for loads of Greek and Italian inspiration. This post contains affiliate links, which means if you make a purchase upon clicking a link, I may earn a commission (at no extra cost to you!) 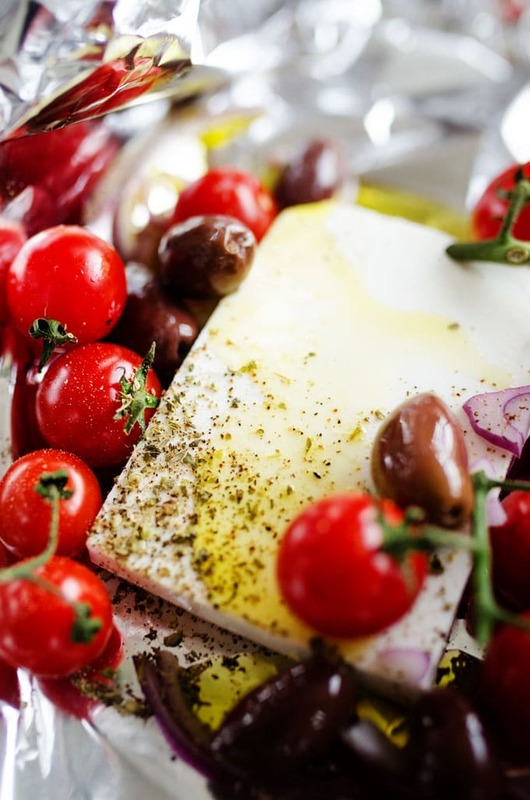 Thanks so much for being here and for helping to make recipes like this Greek Baked Feta possible. Hi, I’m Sarah! 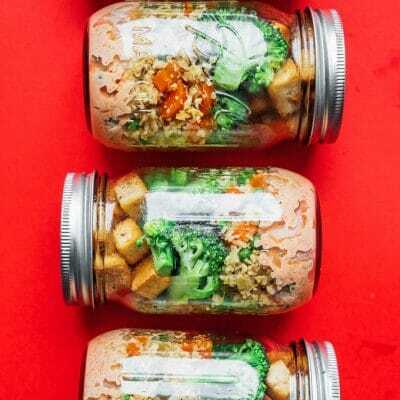 We’re working our way through the easy vegetarian kitchen, one ingredient at a time. 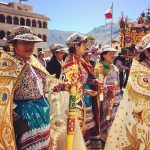 Learn more and follow along! 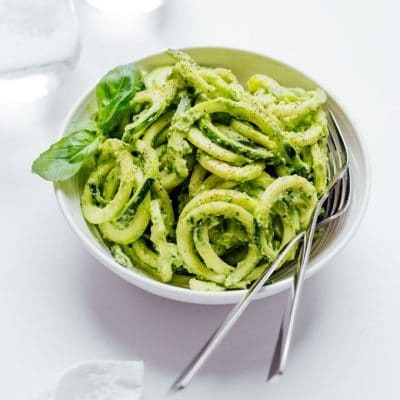 Join the Eatmail for exclusive recipes, meal ideas PLUS our FREE green smoothies eBook! I’ll never share or sell your email address. Only tasty food headed your way!